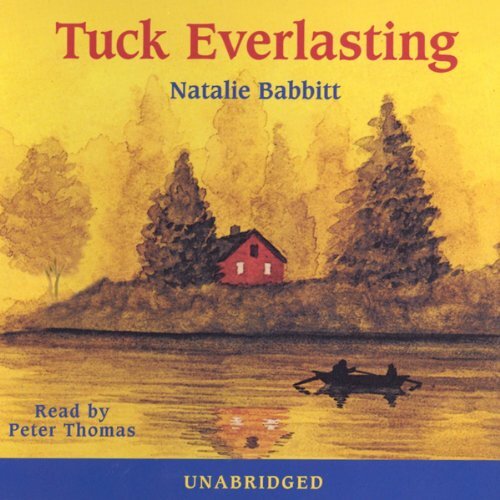 Tuck Everlasting was written by Natalie Babbitt. Tuck Everlasting was published by Farrar Straus & Giroux. Add your reply to Kathleen S.
1/25/2010 Kelli Williamson said: I liked this book. It is about a girl named Winnie, who meets this family who can never grow old. The family drunk water that kept them from getting older. Winnie must decide if she will drink the water or not. I recommend to everyone. 6/19/2009 C. Lee McKenzie said: I had to escape today and this book was on my shelf, so I read it--something I've been planning to do for a long while. A charming young reader book with some profound insights into human nature. This book is now in my "cannon" of books to reread, study and digest. The language is beautiful, the plot is fresh and thought-provoking, and the characters are endearing. Natalie Babbit takes a the heavy subject of life and death and allows the reader to see it from a unique and entertaining angle. 10/15/2007 Diane Smith said: Great fantasy book! Babbitt weaves an engrossing tale about a family named Tuck and the secret this family shares. A young girl unwillingly gets involved and finds out this secret, but eventually learns to love the Tuck family. However, learning this secret has put a higher price on the Tuck's and has placed the young girl in danger. I was very impressed with this story and have read it over and over again.